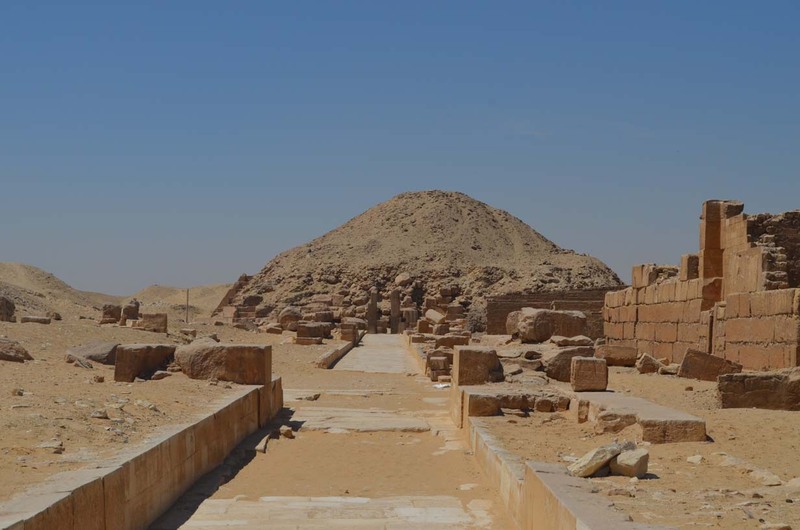 Overview of Step Pyramid in 2016. 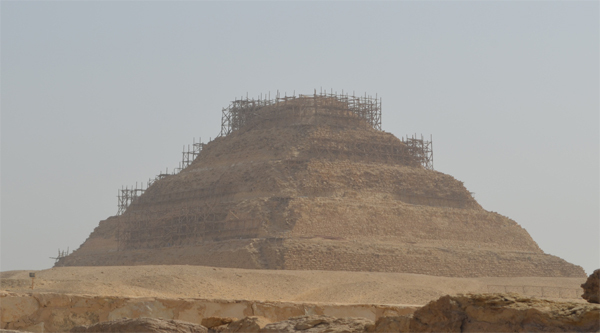 Step pyramid of Zoser in Saqqara in 2016. Entrance into the Funerary temple of Zoser. 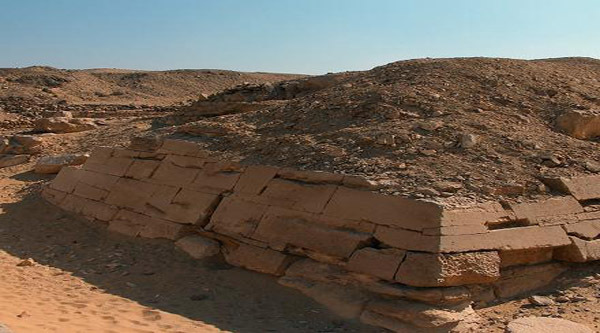 Pyramid of Djoser general view. Funerary temple at the Step Pyramid of Djoser. Saqqara Step Pyramid is dominating the horizon of the area, it is believed to be the world's oldest monumental masonry structure. 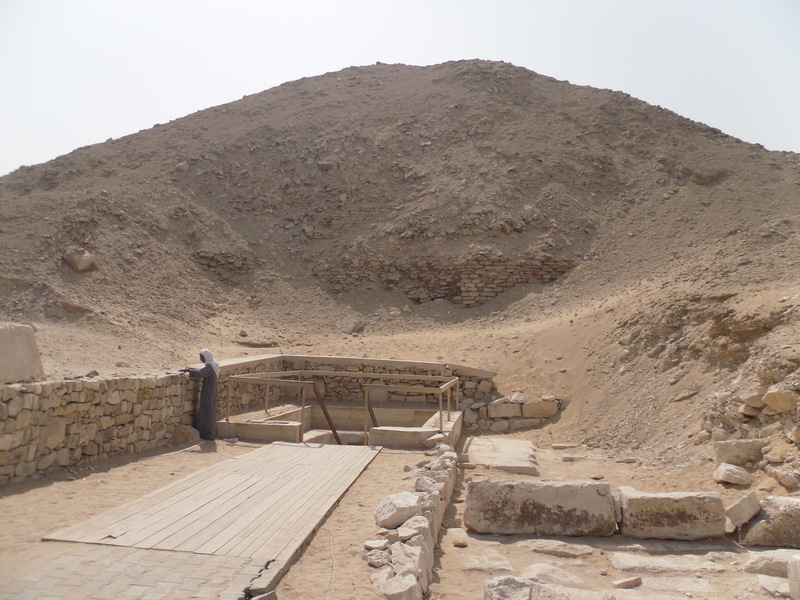 The unique pyramid of Djoser in Saqqara is part of a mortuary complex for the 3rd Dynasty king Djoser. He was the 1st among the pharaohs to construct a limestone pyramid with a limestone funerary complex surrounded by an enclosure of fine limestone. Created by the architect Imhotep, it is a unique stepped pyramid with 6 tiers. The Pyramid rises in six unequal stages to a height of 60 meters (appr.) 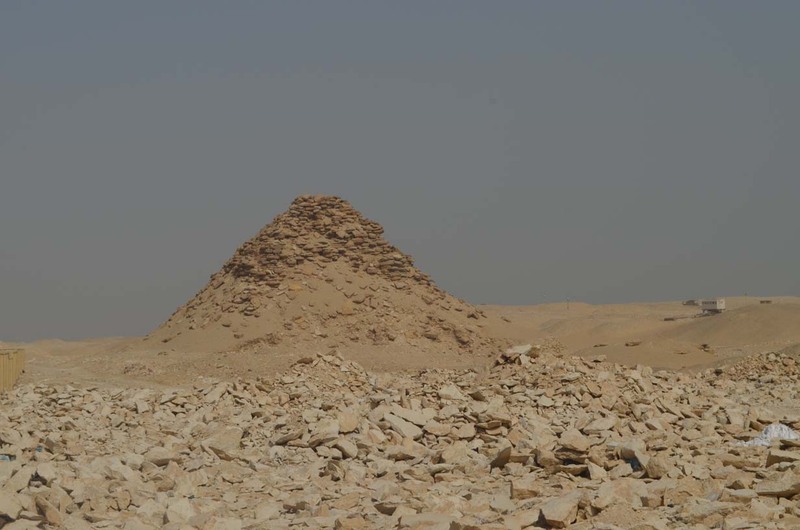 and is the first and oldest ancient Egyptian pyramid, although not a "true" one with smooth sides. 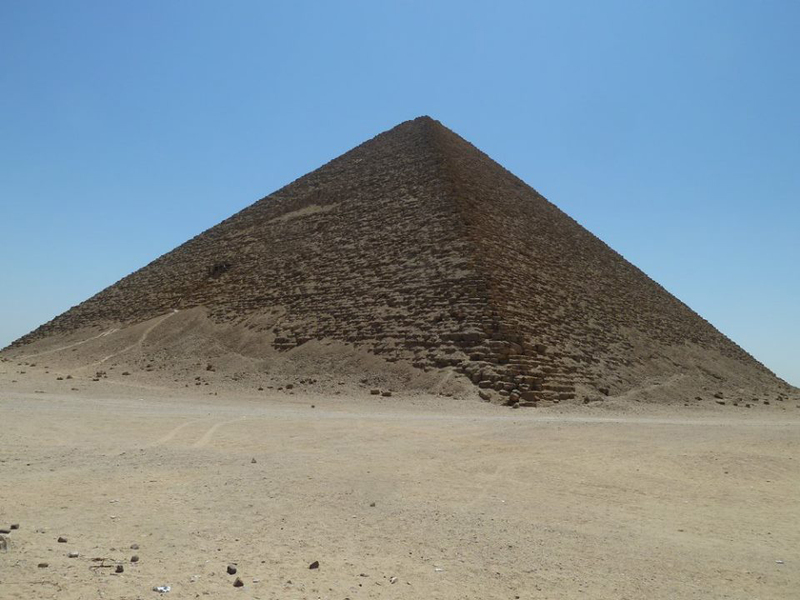 Before the pyramid got its final shape of the Step pyramid many changes were applied to it. First it was in a shape of a square mastaba facing the "four cardinal points". It was built of a local Saqqara limestone; the length was 63 square meters and the height was just 8 meters. Later 3 more meters of limestone were added to all 4 sides of the construction, making it a square mastaba of 71.5 square meters. Then to the east side of the construction 8.40 meters were added, thus making the pyramid rectangular and 79.90 square meters from east to west and 71.50 square meters from south to north. The eastern addition was made for digging up a vertical shaft of 33 m of depth to bury the royal members of the family inside his own tomb. 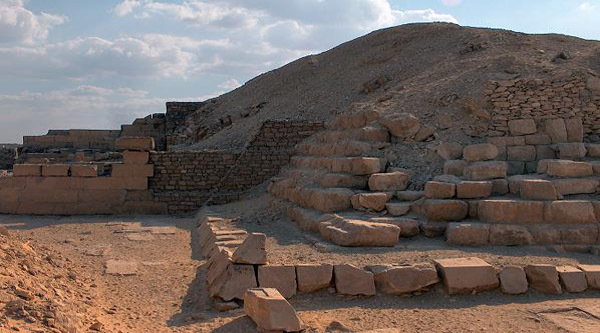 A royal tomb changed into a Stepped pyramid when 3 more steps above the original mastaba were added. 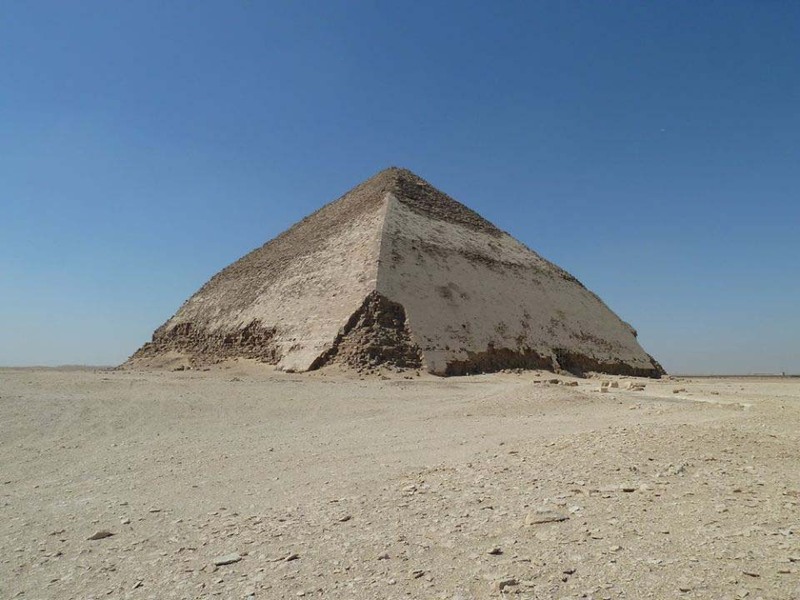 So, the pyramid became 85.9 meters from east to west and 77.50 meters from south to north and 43 meters height. A casing 3 meters thick layer was added to 4 sides as well. 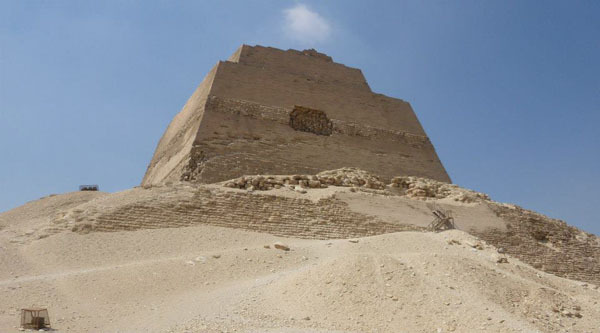 Later on when a casing layer was added to the south and north of the pyramid, it became rectangular 6 steps pyramid with 121 m from east to west, 109 m from south to north and 59.64 m in height. And for the last time the pyramid was cased with fine dressed limestone of Tura. There is a burial chamber at the bottom of a large shaft about 28 meters deep and seven meters square, it lies almost exactly beneath the center of the pyramid. It is surrounded by a series of chambers and a corridor to house the furniture and the artifacts of the deceased. The blue faience-tiles of KIng Djoser's symbolic palace were found deep under the pyramid. Deep beneath the pyramid of King Djoser is a series of chambers and corridors representing the royal palace. The limestone walls here were ornamented with delicate tiles of blue and blue-green faience, inlaid in stone panels to imitate mats made of bound reeds. Similarly decorated chambers were found beneath the South Tomb. Several of the original faience tiles, attached to modern blocks, are reinstalled here. In center is a deep niche, with a relief at the back that is finely carved with an image of the king visiting a sanctuary at Edfu. Now, part of this chamber is on display at Imhotep Museum in Saqqara.